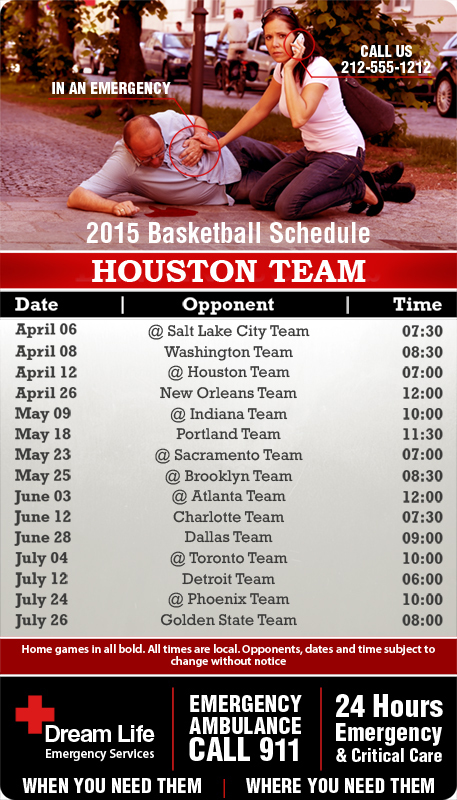 Ambulance services are very popular and most of the people know their details by heart, but this has not stopped the Houston based private ambulance services from gifting away customized 4x 7 inch one team Houston Team basketball schedule round corner emergency ambulance services magnet. These services believe that this magnetic gesture is going to bring them closer to their clients and stir the team spirits within them. People will affectionately retain it as ambulance reference token and a impressive refrigerator art even after the season ends.